This full-page, full-color advertisement appears in the November 1984 issue (Volume 1, No. 10) of Marvel's "The Saga of Crystar, Crystal Warrior. 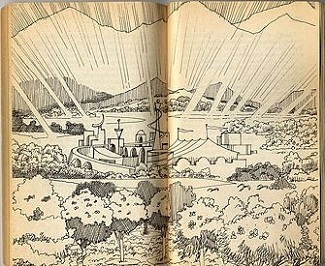 "1 It is located on the issue's glossy inside-back cover. The advertisement touts the Endless Quest gamebooks that TSR (the company that gave us Dungeons & Dragons) published throughout the 1980s. 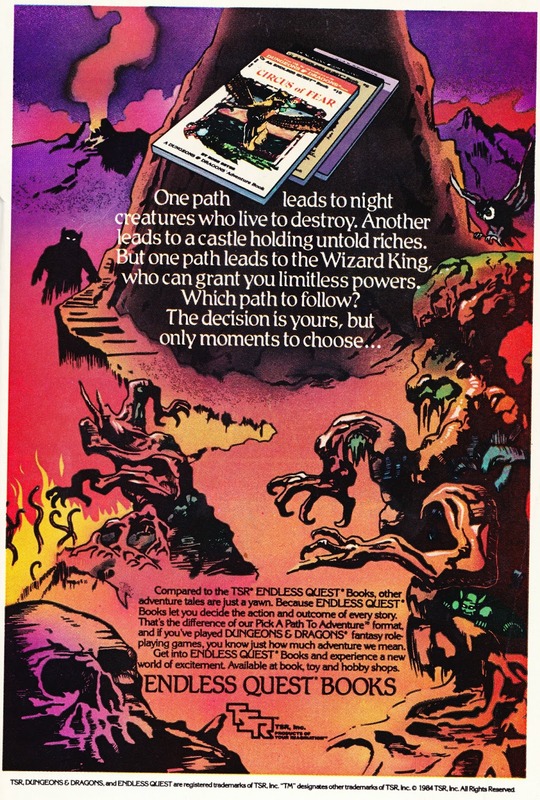 These were the wizards-and-dragons version of the more-famous Choose Your Own Adventure books, which got their start with 1979's The Cave of Time. "Compared to the TSR ENDLESS QUEST Books, other adventure tales are just a yawn. Because ENDLESS QUEST Books let you decide the action and outcome of every story." 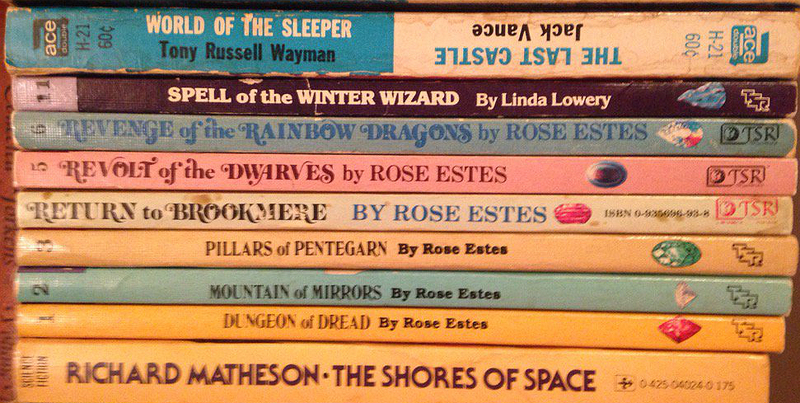 I was a big fan of the first dozen or so Endless Quest books, which were right in my middle-school geek wheelhouse, alongside Dragon magazine, the Three Investigators series, Hans Holzer books, Star Wars figures and Lego's amazing Beta I Command Base. What are your memories of gamebooks like Choose Your Own Adventure, Endless Quest, Fighting Fantasy, and Which Way Books? Share your thoughts in the Comments section. Or turn to Page 13. 2. Not true. There was no time limit. You could wait as long as you wanted before deciding whether to turn to Page 18 or Page 44. 3. During the first year or so of Papergreat, I came close to doing an email Q&A with Estes, who now has an ephemera-centric business, The Woof Gang, that involves the sale of notecards and art prints that feature vintage photographs of animals. But it didn't work out. Still, I recommend that you check out her website.